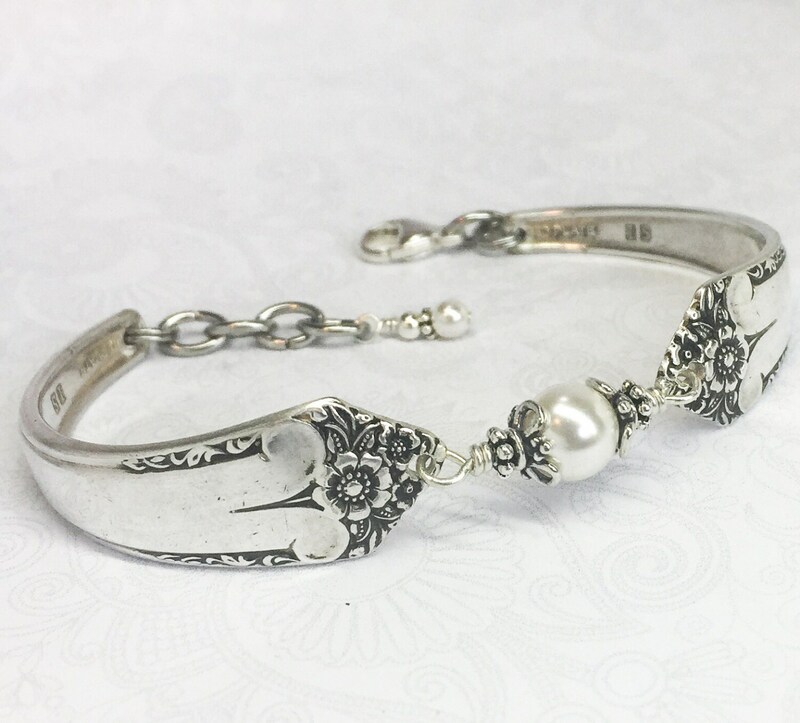 This elegant and comfortable spoon bracelet was created from two sterling plate vintage teaspoons. The pattern is the flowery "Starlight" from 1950. 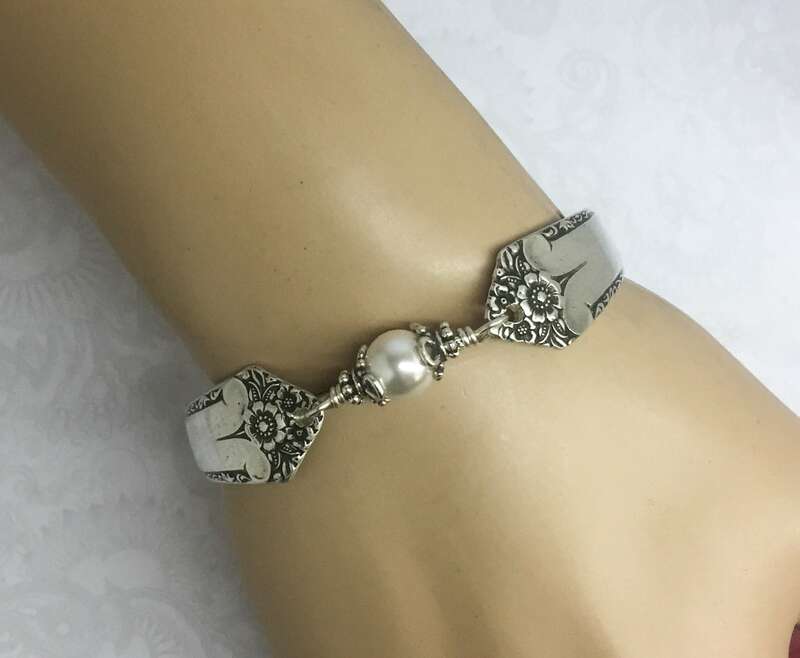 The bracelet is adorned with an 8mm white crystal pearl which is attached with twists of anti-tarnish silver wire, and dressed up within two sterling silver bali bead caps. 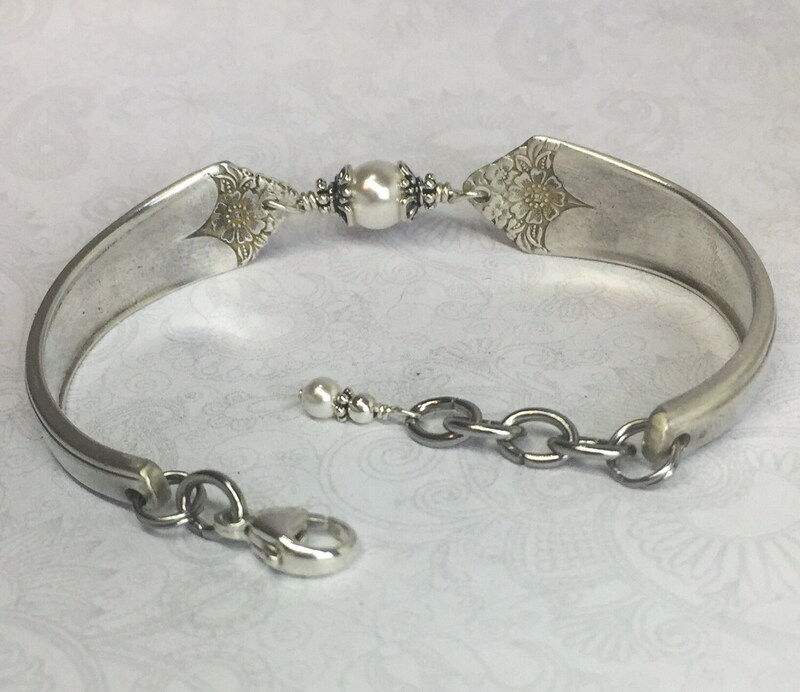 The spoon bracelet is finished with a high quality sterling silver lobster clasp. There are also extra rings for an adjustable fit, and they're topped off with a smaller pearl and silver bead at the end. 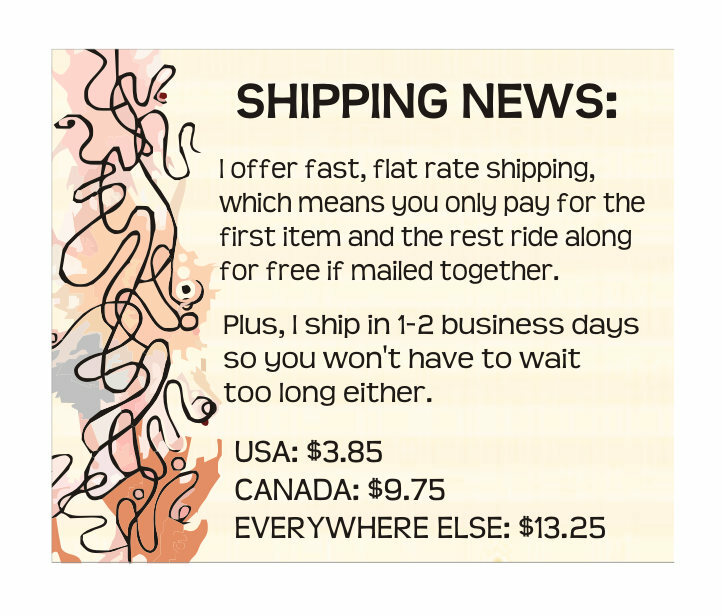 Plus, included with your purchase will be a simple bracelet helper tool to make attaching your lobster clasp very easy. 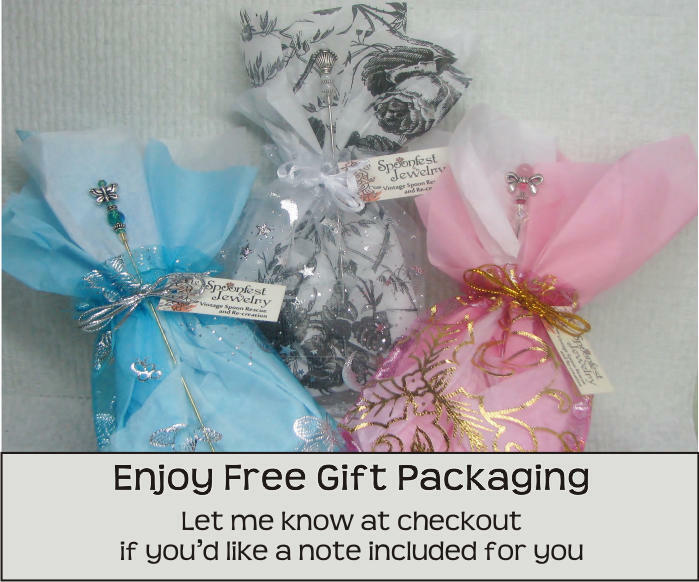 This pretty piece of silverware jewelry will arrive in a fancy organza gift bag with a Spoonfest Jewelry story card, details about the spoons, and your complimentary bracelet helper tool. Love this bracelet. 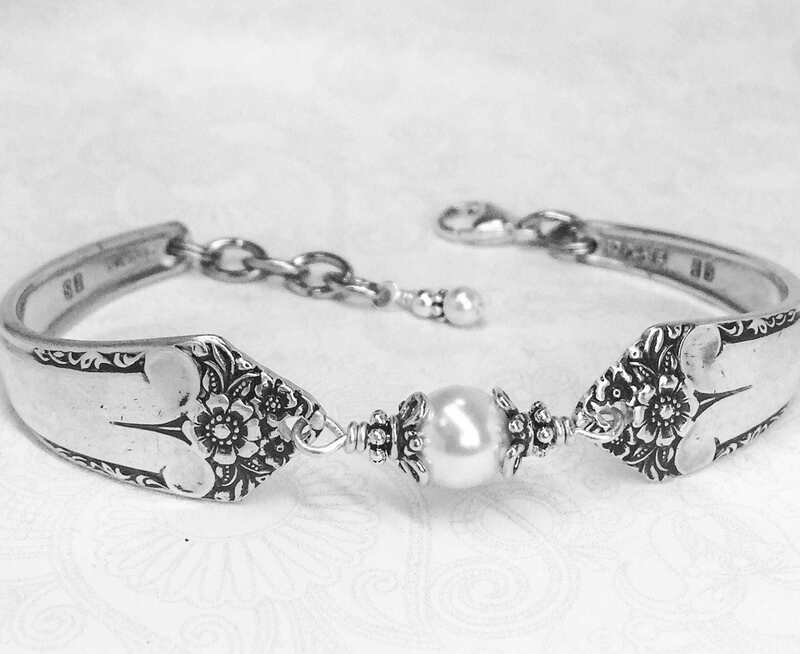 It is hard to make spoon bracelets delicate and feminine but this shop has succeeded. Great job!